Showtime strikes are a thing again and so are MMA Rumors. In the battle for UFC’s ninja belt, Anthony Pettis may be back to his WEC form. WEC Anthony Pettis may be a long lost MMA Mythological figure we never knew. In MMA you can never be too sure what is really real. 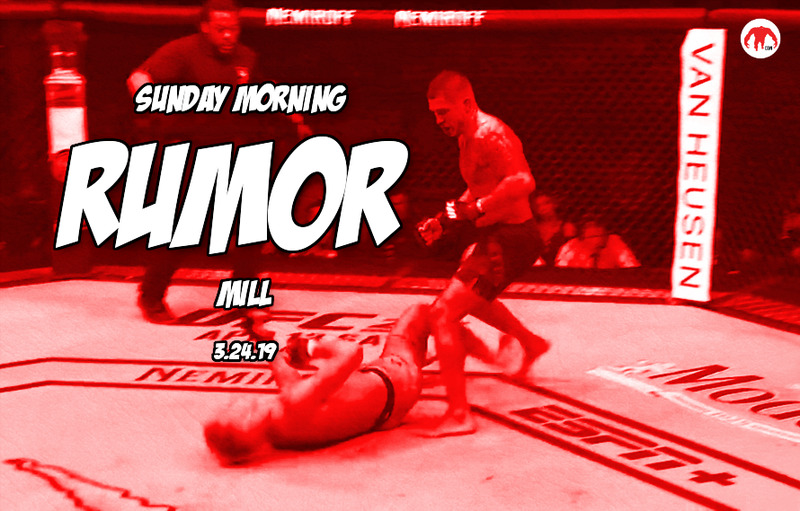 Before another round of spring cleaning, take time to reflect and remember how much the Sunday Morning Rumor Mill truly means to you. Steam is picking up for Conor McGregor to fight in 2019. The rumors are mostly rumor killers, with only a few men having a real shot to land the fight. If placing odds, Nate Diaz would be the clear favorite while Cowboy Cerrone may now be a distance second. Rumor is the UFC wants Daniel Cormier to fight at least two more times before he retires. Two heavyweight title defenses are on the table and a possible third Jones fight seems less likely. Henry Cejudo vs. Marlon Moraes looks like the fight to make for the now vacant UFC bantamweight title. Cejudo was always the plan, while Moraes is rumored to have made a late surge. Heading into WrestleMania 35, WWE is rumored to be still unclear if Ronda Rousey will stay with or leave the company in 2019.